There is perhaps no drug in the United States more controversial than marijuana. In spite of being a Schedule I substance, marijuana is widely used by otherwise law-abiding citizens and generally regarded as harmless. Five states have declared that marijuana use is legal, and 21 states have decriminalized possession of small amounts of the drug. Five more states, including California, have ballot measures up for a vote in November to legalize marijuana. While support for legal reform has gained momentum in recent years, the debate is hardly one-sided. For decades, the federal government has stood firm on its prohibition. This argument between lawmakers, doctors, and advocates on the legal state of marijuana has a long and storied history. Marijuana is derived from plants in the cannabis genus. Farmers can cultivate cannabis into hemp to create a number of useful products, including rope and cloth. Cannabis hemp was so vital to early American colonists that in 1619 the Virginia Assembly passed a law requiring all farmers to grow hemp. Only after the Civil War did competing products eventually supplant hemp production. In the 1800s, cannabis started to become recognized for its psychotropic effects. It began appearing in medicines and other drugs. The first law to regulate cannabis came in the form of the 1906 Pure Food and Drug Act, which required cannabis and certain other drugs to be listed as an ingredient on medicines. The backlash against cannabis started in the early 20th century, around the time Mexican immigrants introduced the habit of smoking cannabis for recreation. The drug became associated with violence and crime in part due to sensationalist media and yellow journalism. Henry Anslinger, the head of the Federal Bureau of Narcotics, spearheaded a movement to make cannabis illegal. Anslinger popularized the term “marijuana” in his campaign, with some commentators saying that the term was intended to sound foreign and dangerous to white Americans. In 1937, the Marijuana Tax Act effectively made marijuana illegal, restricting it to a few medical and industrial uses and imposing a heavy tax. 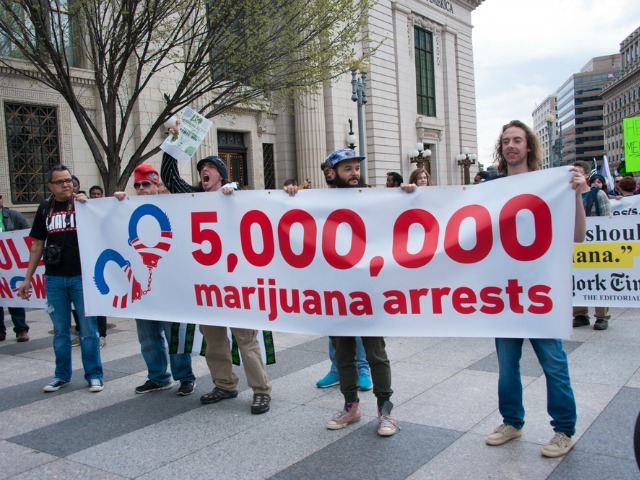 Over the next few decades, additional laws imposed heavier sentences on marijuana possession. But in 1969, a Supreme Court case brought by counterculture icon Timothy Leary overturned the Marijuana Tax Act as unconstitutional. The very next year, Congress reestablished the drug’s prohibition by passing our modern Controlled Substances Act, which categorizes marijuana as a Schedule I drug. However, the 1970s also saw states begin to decrease the priority of marijuana law enforcement. Numerous states, including California, began to decriminalize small amounts of marijuana. In 1996, California became the first state to legalize medical marijuana, with other states joining in over subsequent years. In 2012, Washington and Colorado became the first states to legalize recreational marijuana use, with Oregon, Alaska and the District of Columbia following suit. More states are expected to join the club as arguments in favor of legalization grow increasingly popular. Commentators argue that in light of the drug’s low threat, marijuana law enforcement is not worth the harm it causes. Drug Policy Alliance argues, “Marijuana prohibition has been a costly failure.” It notes that 45 percent of all drug arrests are for marijuana, and 88 percent of these are for simple possession. These arrests disproportionately affect young minorities. And yet prohibition has done little to curtail marijuana use. A 2014 survey by the Substance Abuse and Mental Health Services Administration found that 44 percent of subjects had used marijuana at least once. Proponents suggest that instead of wasting money on pursuing these minor offenses, legalization and taxation of marijuana could save the country a fortune. 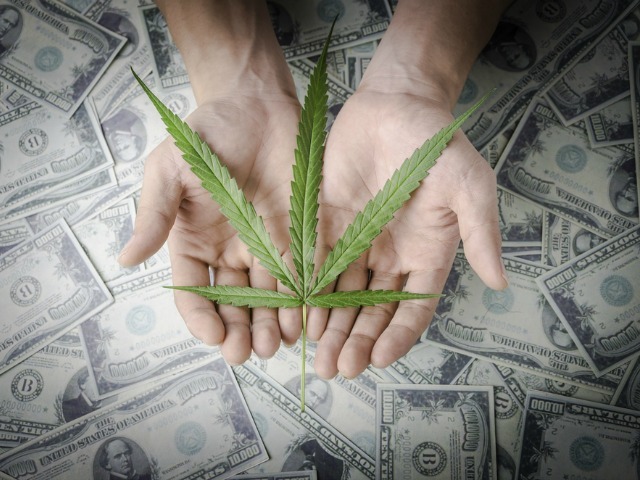 A 2005 report by Jeffrey Miron, a visiting professor at Harvard University, projected that federal marijuana regulation could yield $10-14 billion in annual revenue and savings. The paper was endorsed by over 500 economists, including three Nobel Prize winners. States that have already legalized or decriminalized marijuana serve as a positive example for nationwide reform. The Center on Juvenile and Criminal Justice’s 2014 study on the effects of decriminalization showed positive consequences for youth, stating, “Marijuana decriminalization in California has not resulted in harmful consequences for teenagers, such as increased crime, drug overdose, driving under the influence, or school dropout. In fact, California teenagers showed improvements in all risk areas after reform.” As a result of the study, the center recommended full legalization. While the case for a reform of marijuana laws seems strong, not everyone is convinced that allowing easy and open access to a new drug is the best idea. One problem with marijuana is that it is habit-forming. According to a 1999 report by the Institute of Science, about 9 percent of marijuana users become dependent on the drug. While this stands lower than most other drugs, it’s not an insignificant number. Loosening marijuana restrictions can potentially produce a sizable population of chronic marijuana users. Studies on the effects of chronic marijuana use have yielded more serious consequences than proponents of legalization generally acknowledge. Marijuana use can cause psychotic episodes and worsen the effects of schizophrenia, though there is no consensus on whether marijuana can actually cause schizophrenia. However, one 2015 study published in The Lancet suggested that chronic marijuana users are five times more likely to become diagnosed with schizophrenia. Opponents of legalization also debunk the idea that it will fix America’s overpopulated prisons or racially discriminatory policing. While there are many arrests for minor marijuana offenses, few actually result in prison terms. Only 0.1 percent of prison inmates have drug possession as their highest offense. Almost all prisoners with drug crimes as their highest offense are serving time for large-scale trafficking, which would still be illegal if marijuana were regulated. And while the total number of marijuana arrests does go down with decriminalization, racial disparities stay as bad or become worse. Though the momentum of state decriminalization and legalization measures, the federal government has so far held firm on its stance that marijuana is and should continue to be illegal. In April of this year, the Drug Enforcement Agency denied two petitions to reschedule marijuana. But this might soon change, as both major candidates in the 2016 presidential election have given varying levels of support for medical and recreational marijuana legalization. With both major presidential candidates open to giving states the authority to dictate their own marijuana policies, the days of its prohibition as a Schedule I substance may soon be drawing to a close. But whether or not this happens, the problem of marijuana addiction will continue to affect a portion of the population. Behavioral health treatment providers such as Sovereign Health will continue to offer effective addiction treatment for any drug, legal or illegal. Stay tuned for the final installment of the series on Tuesday, November 8, which will take an in-depth look at the new president and predict future developments in behavioral health during his or her presidency. Do you think that decriminalizing marijuana is a benefit or a hazard?